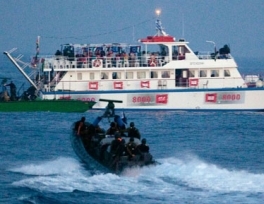 The Obama administration appears to have given a green light to an Israeli attack on an unarmed flotilla carrying peace and human rights activists — including a vessel with 50 Americans on board — bound for the besieged Gaza Strip. A huge hangar, owned by the Ministry of Defence located near Porte des Poissonniers, in the 18th arrondissement of Paris, could well become a new place of Muslim worship in Paris. 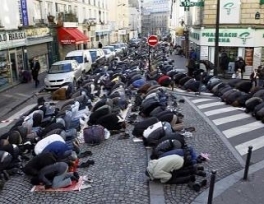 In an attempt to allieviate the problem of prayer in the streets, the City of Paris is seeking ways of finding more prayer space without violating a 1905 law against the government supporting religions. Yemen's President Ali Abdullah Saleh appeared on television on Thursday for the first time since an assassination attempt a month ago and said he was ready to share power within the constitution's framework. 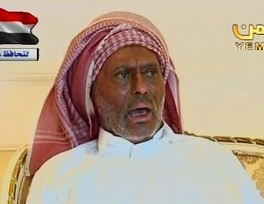 Saleh, who is being treated in a Riyadh hospital after the June 3 attack, was barely recognizable and sat stiffly as he spoke in the pre-recorded statement broadcast on Yemeni television. (IslamDag) - Heart of any Muslim cannot be indifferent to the Quran and therefore, with the hope for understanding and help of all who get this message, we search for hand-written Quran of village Chuni of Levashinsky district, Dagestan. 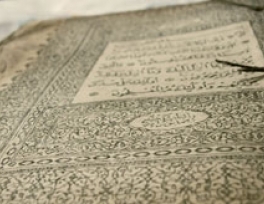 The unique Quran which was kept away from anti-religious bodies during the communist regime in USSR, when mosques were closed and the religious literature was destroyed, could not have been protected presently. 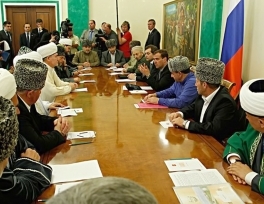 Muslim leaders in Russia asked President Dmitry Medvedev on Tuesday to press Saudi Arabia to increase the number of worshippers allowed to perform the annual Haj pilgrimage. Almost three million Muslims flock to Mecca every year for Haj, a duty every able-bodied Muslim who can afford it must perform at least once in their lifetime. Riyadh allocates quotas for Muslims around the world. 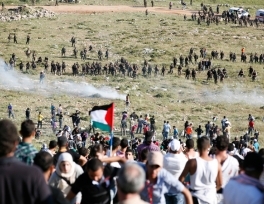 Israeli officials are allegedly boycotting a UN official in Lebanon after he wrote a report criticising the country's response to a border incursion by Palestinians protesters in May. Media in Israel reported on Wednesday that the government had cancelled a visit and cut ties with Michael Williams, UN special co-ordinator for Lebanon, in response to the report. 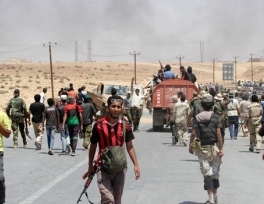 Opposition fighters in western Libya seized two mountain towns from government troops Wednesday, while the embattled regime of Muammar Qaddafi said it would set up a special court to try opposition leaders for treason. 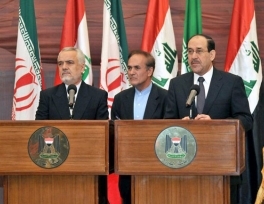 The opposition advances mark small progress in a largely deadlocked civil war. Fighting began nearly five months ago when a popular uprising against Qaddafi quickly escalated into armed conflict. The Toronto District School Board says it is meeting its obligation to accommodate students' religious beliefs by allowing an imam to lead students in prayer on school property. 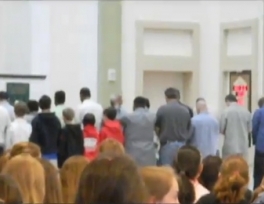 The board came under criticism this week when a Hindu group that regularly criticizes Islam raised objections to Muslims observing Friday congregational prayers, which have been held inside a cafeteria at Valley Park Middle School in Flemingdon Park for about three years. Iraq's cabinet approved a $365-million contract with Iran last Wednesday to build a pipeline to move gas from Iran to Iraq for power generation. Iran aims to boost trade and investment with neighbouring Iraq to $10 billion this year as it looks to further strengthen economic ties, especially in the oil sector, an Iranian official said on Wednesday. The Saudi Kingdom will host the first ever international conference on halal food in the Saudi capital on Feb. 12, the Saudi Food and Drug Authority announced here on Tuesday. Speaking at a press conference held at SFDA headquarters on Tuesday, the organization's Chairman Mohammed Al-Kanhal said Custodian of the Two Holy Mosques King Abdullah has consented to offer his patronage to the summit which is to be held for the first time in the Kingdom.